Posted by Duncan in Cedar, TW. Today I got my first glimpse of Cedar’s new UK head-quarters in use. I’d seen it during the renovations, however now the work is complete and we’ve started to move in properly it’s really exciting to see people actually using it for real. 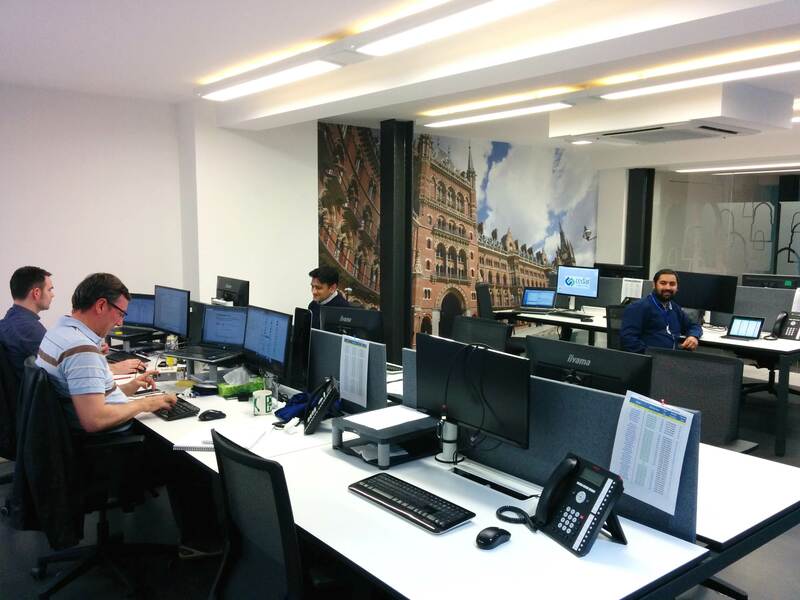 I’m particularly pleased that we’ve managed to purchase an office that’s still got the same great location as our previous premises, but is ours to decorate as we wish (witness the fantastic mural in the background of the above photo).